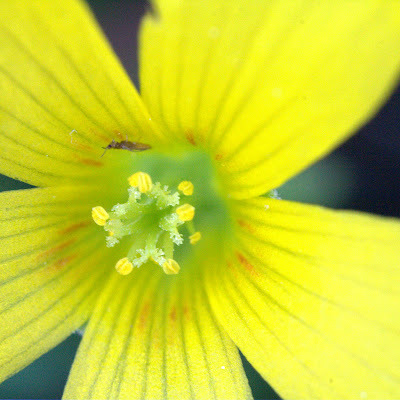 This is a super macro shot of a small clover flower. The blossom is less than 1/2 inch across so the small insect, which looks like a cricket is very tiny. Canon 40D, 1/80 sec at f/8.0, ISO 800, 4x macro at 65mm.